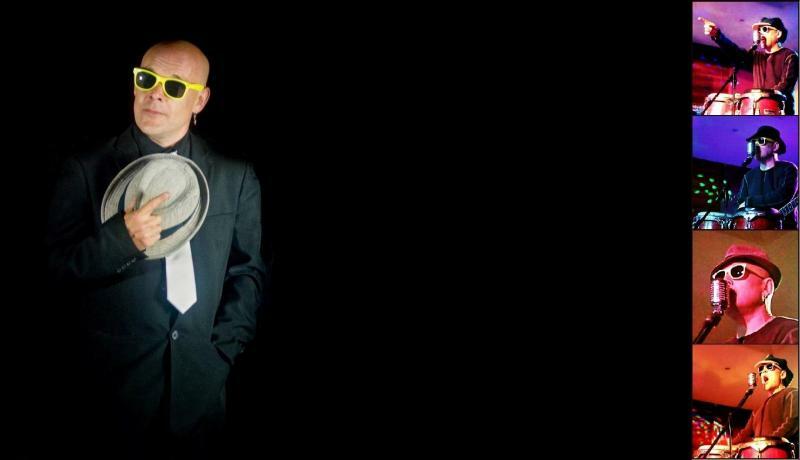 Andrew G "The Bald Guy With The Bongos" is the perfect entertainment solution for your upcoming wedding function, birthday party or corporate event. From easy listening, laid-back, lazy Sunday afternoons to being MC at your reception then shifting into full-on party mode, Andrew can create an atmosphere suitable for any occasion. It is hard to catergorise Andrew G into one particular style as his chameleon like voice can blend into many styles of music. He has been rocking out in pubs and clubs for years with such bands as "The Fabulous Blues Brothers", "The Australian Phil Collins Show" and "The Enormous Horns". Currently based in the Hunter Valley he performs solo as "Andrew G" or as one half of the popular duo "Cover2Cover". Andrew also fronts "The Swing Kings". With a repertoire of over 600 songs Andrew G can change his style to suit most audiences. Please feel free to browse this site and visit the contact page with any queries you may have. Copyright 2016 andrewgodbold.com. All rights reserved.